So I took this photo on the way to Save Our Sisters yesterday. 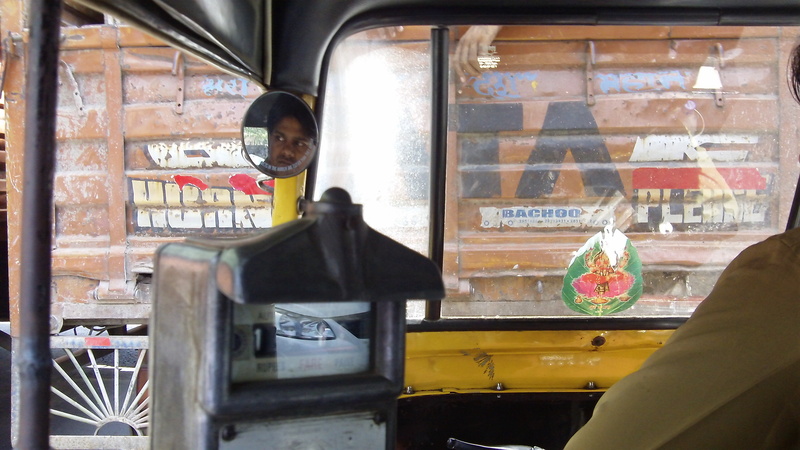 You can’t tell it, but the tuk-tuk is right up against the truck in front. I like the shot, especially if you make it full screen, which is when things appear that I didn’t even know were there when I snapped it. At any rate, you get an idea what most of my views were while driving to my classes.